Take a pawsitive step to better health. 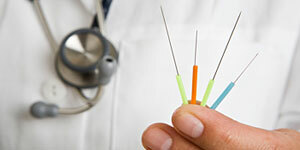 When acupuncture is part of a treatment plan, sometimes risky and expensive surgery can be avoided, particularly to treat a variety of spinal cord conditions that cause pain, weakness and, sometimes, paralysis. Acupuncture also can lessen the dependence of conventional medication, including anti-inflammatories and steroids, which are known to have adverse long-term side effects. In some instances these drugs can potentially be discontinued altogether. 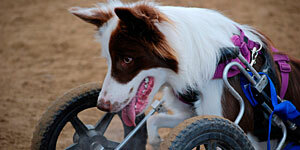 Custom-fitted splints, braces, carts and prosthetic limbs are available through a consultation. Carts are fitted to patients that are paralyzed or can’t walk without support. We’re also glad to help with harnesses, slings, ramps, boots and splints, all of which are great options for senior pets that aren’t steady on their feet. 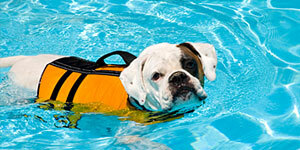 Water allows pets to strengthen muscles and increase endurance with little compression on joints. For many post-surgical and neurologic patients, hydrotherapy is a great first step toward regaining a normal gait. Hydrotherapy also provides a great total body exercise, whether your dog is overweight a little or a lot, or in top athletic shape. Your pet may be a candidate for laser therapy if tests reveal degenerative disc disease and arthritis in several joints. We apply a laser light to the diseased or injured area with a wand, careful to keep the laser moving. That’s when the “magic” happens. 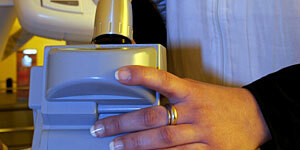 Laser stimulates activity within cells to nourish them and remove toxins and waste. Inflammation and pain decrease and blood flow increases to help the tissue repair more quickly. Massage therapy helps the older, less active pet live a more comfortable life. But even young and healthy pets can benefit from a nice, relaxing massage, just as humans can on their best and least stressed days. Massages can increase flexibility, speed healing, improve circulation, minimize pain and more. Often called e-stim, this therapy uses a low-level micro-current to stimulate muscles. It’s commonly used at the start of rehabilitation programs to strengthen muscles that have atrophied or are not in use, for pain or for swelling. 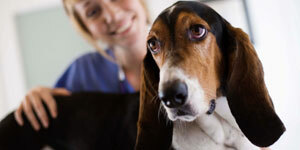 Dr. DuBose is well trained in a variety of rehab therapies including e-stim, and always collaborates with your pet’s primary care veterinarian to appropriately coordinate treatment. Exercises are tailored to your pet’s condition or status of surgical recovery, as well as age, overall body condition before and after surgery, and stage of healing. A wide range of aids are used to carry out the specialized plans — all with the goal of increasing movement, function and strength, improving endurance and coordination, making your pet more flexible. Therapeutic ultrasound uses high frequency sound wave to massage and warm the soft tissue. Generally used in tandem with other techniques to reduce pain, therapeutic ultrasound helps treat hip dysplasia, degenerative joint disease, osteoarthritis, stained muscles, tendonitis and bursitis. 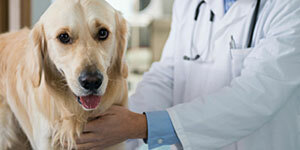 Pets that have recently undergone surgery may be good candidates for therapeutic ultrasound. Herbal therapy is one of the fives branches of Traditional Chinese Veterinary Medicine and is used to treat many different ailments including cancer, allergies, skin diseases and infections, behavior problems, and gastrointestinal diseases. Often, herbal treatments are part of an overall plan to address the primary cause of a problem, treat it symptoms and keep them from returning. 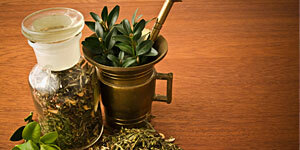 Herbal therapy often is used in conjuncture with acupuncture to speed healing and lengthen its effects. 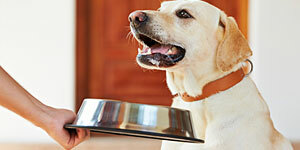 Good food is more than what your pet prefers to eat. 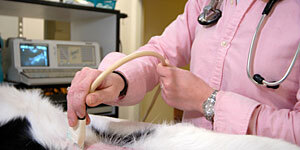 It’s a clue to what’s going on inside your cat or dog. Any sudden change in your pet’s eating habits or a sudden increase or decrease in weight could be symptomatic of disease. Whether you and your pet prefer commercial dog food or a home-cooked diet, Dr. DuBose will make it easy to help your pet reach certain health goals. 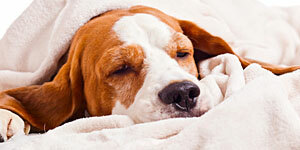 We apply hot or cold elements to the body to relieve pain or improve your pet’s health. Ultrasound, heating pads or ice packs, and aquatic therapy are commonly used. Joint mobilization techniques work the stiffness out of joints that have undergone surgery, including the knees, hips and elbows. 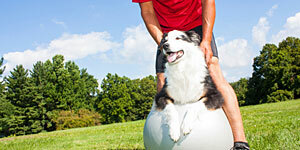 Geriatric and arthritic dogs love these exercises, too, because they decrease pain and help pets move more freely. 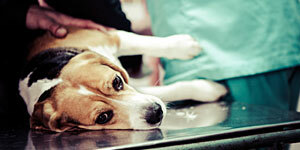 When pets hurt, they don’t move. And if they don’t move, joints gets stiff, range of motion decreases, and muscle atrophy sets in, weakening muscles. Moving the limb through a normal range of motion using manual hand-on techniques helps prevent stiffness. Chiropractic adjustments are gentle and painless, and often end chronic health problems that traditional medicines can’t always treat. Benefits include better flexibility and agility; endurance; less dependence on medication; and a lower risk of arthritis. If you think your pet might benefit from this service, our veterinary chiropractor, Dr. Stephanie Simonson, makes monthly site visits. We’d be happy to make a referral and schedule an appointment.